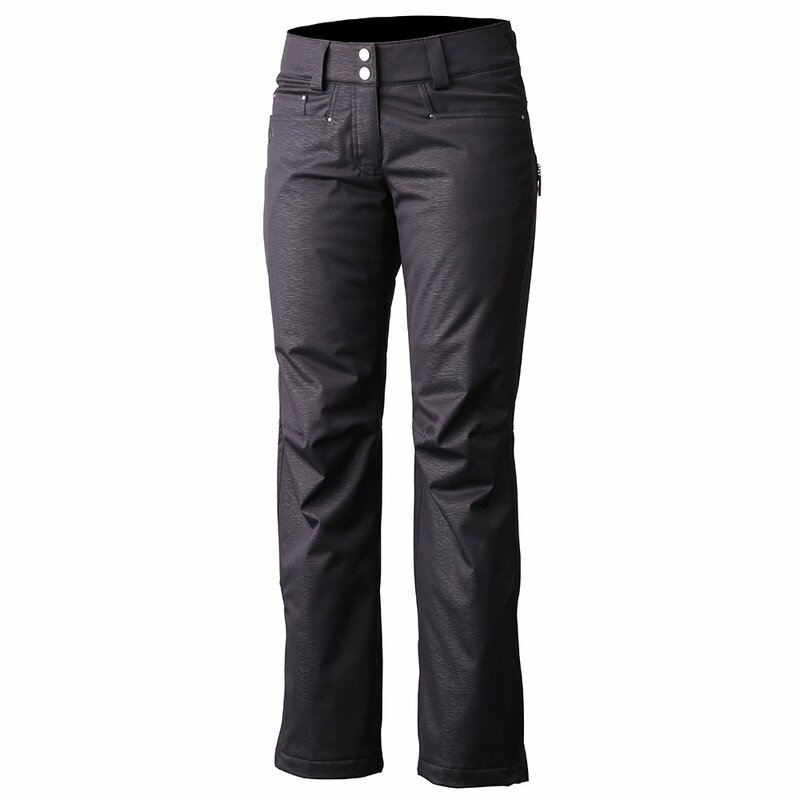 Engineered for modern women who demand it all, the Descente Selene 2 Insulated Ski Pant isn't just a pretty piece of apparel, it's a quality ski pant that will keep you warm and comfortable on the mountain. The distinctive Stellar Emboss fabric does indeed look stunning, but it also delivers the protection you need for fast, intense days on the mountain. The 20K/20K waterproof-breathable fabric keeps you dry from the outside and lets body heat and perspiration escape to keep you comfortable inside. Thinsulate™ insulation provides just the right amount of warmth, while a Motion 3D™ Fit ensures you can move how you want to move. Other features include a stretch liner, adjustable waist and lower leg zippers.